Have you heard of Moringa Oleifera? It is commonly known as Indian drumstick and Malays (from Kedah) would call this... Kacang Munggai. Just imagine if you grow Moringa Oleifera in your backyard... It will not only gives you, your nutritional benefits, purify your water, it can also protect you from evil spell. And that is why... it is called ~ Tree of Life, or in East Africa... it is called "Mothers' best friend". The benefits are endless... you can Google 'Moringa Oleifera' and read about it. Care to share your scary childhood stories with me? I found frozen packets of Drumsticks in an Indian grocer... and decided to cook a simple dhal and serve with roti. Pound garlic and ginger until smooth. Set aside. 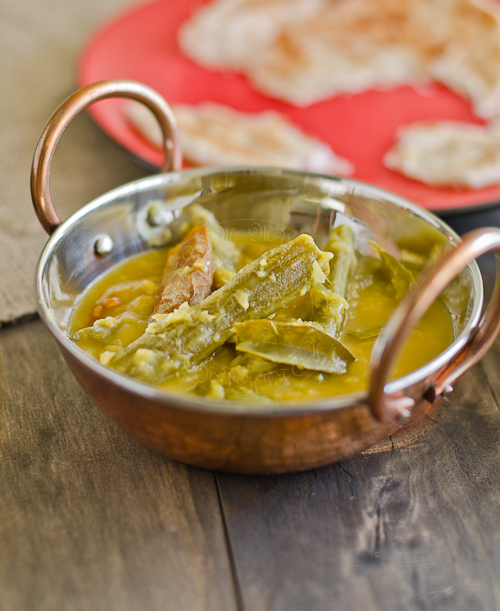 In a medium size saucepan, bring to boil lentils, chillies, curry leaves and drumsticks. Then reduce to a simmer for about 15 minutes or lentils turned mushy. Remember to add water if the lentils becomes dry. Add pounded garlic, ginger, tumeric and salt. Cook for another 10 minutes and turned off the heat. Add the golden fried shallots. The story of orang minyak scared me as a child! I think I even saw the movie once. Thanks for bringing back some old memories and thanks for sharing this wonderful looking lentil recipe! From what I know, those wearing 'susuk' can't eat this also..one of the pantangs apparently. Anyway, your drumsticks dish looks extremely good and appetizing. yum yum. Have a nice day. Food looks mouthwatering..I don't think I have ever seen Indian drumsticks...fascinating. I still remember the late P. Ramlee movie... watched few times over the years. Fuiyo... must 'mandi' air bunga to buang 'sueh' man... I'd be scared too. I think Asian ghost stories are somewhat scarier for some reason. Halloween can be scary but there are lots of cute stuff. But not in Asia... I love your recipe - looks so yummy. I want to dip the chapati in the sauce... YUM! I did not realize there is a ghost story related to the drumsticks. I managed to find some fresh ones from the Indian grocery store not too long ago and cooked them with shrimp. They were expensive but such a treat! 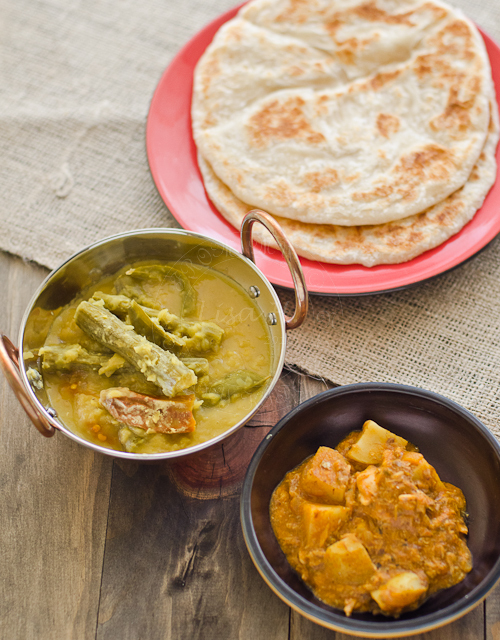 Yours with dhal and roti looks delicious! 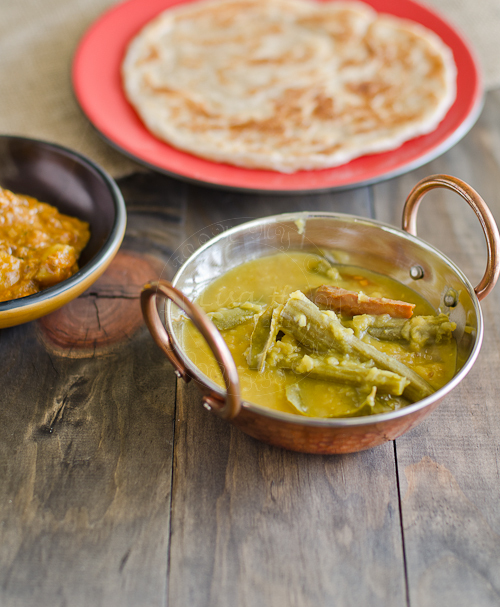 I learn something new from this dish, I thought it was ladies fingers in it :) yes, definately yummy to go with roti! 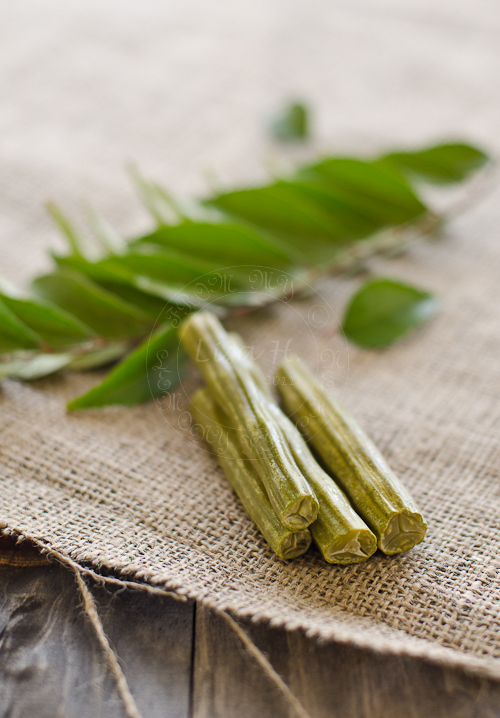 Only recently I know these are called drumsticks and now, I know the "technical name" for it - Moringa Oleifera! Thanks. You are right... in the restaurants most likely ladies fingers are being used.